Mornin', y'all. How's your day going? Ryan's not up yet so I'm taking advantage of the time to write this blog post. And take cold medicine. Hope I don't pass this along to the wee babe. He had a good time last night playing peekaboo over the coffee table with his dada. Very cute. Anyway, even with a cold I managed to make a very quick card yesterday. Not only is it quick, it's a quadruple challenge card. So, one stamp, one piece of Color Theory DSP, and a couple of Framelits. At first I was going to stamp something texture-y on that bottom left corner, but looking at it I thought this card needs ribbon! So I had to raid my retired ribbon stash (I have a very limited selection of current ribbon and a very large selection of retired ribbon) to find that Chocolate Chip taffeta. 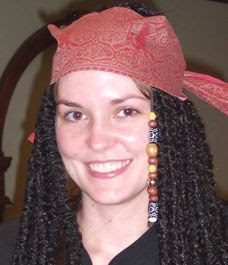 I loved the taffeta ribbon. I made my card the standard A2 size instead of square just because I like A2 better. I used Chocolate Chip, Tangerine Tango, Old Olive, and Crumb Cake. Last up is the SUO Challenge to make a project that features thankfulness. My dad has had some health challenges lately, but he got some good news from the doctor yesterday so we're definitely thankful for that, and this card will be going out to my dad later today. I love your card Christy, so simple but beautiful. 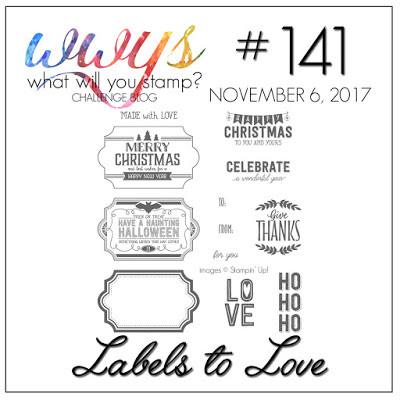 Thanks for joining the What Will You Stamp? challenge this week. So sorry you have a cold Christy. Such a pretty card. Thanks for joining us this week at What Will You Stamp. I love that sentiment in the various colors. 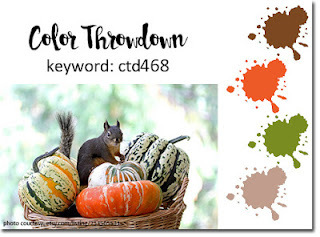 It works very well in the colors and papers you used as a backdrop. Thank you for playing along with us at Freshly Made Sketches. What a great CAS Thanksgiving card!! Thanks so much for joining us at the Color Throwdown this week! What a fabulous card and perfect for all of the challenges!! So thankful that your Dad received good news and I hope you and your family have a blessed Thanksgiving! So gald that you joined us at SUO Challenges- hugs!! So many great challenges all incorporated into your so sweet card!! The multi colours on the thankful image are great. I'm so glad you joined in the fun with our thankful challenge at SUO Challenges. Very fun design for your giving thanks card! Thanks for playing along with the SUO Challenge this time! VERY nice!! Thanks for playing along in the SUO challenge! !